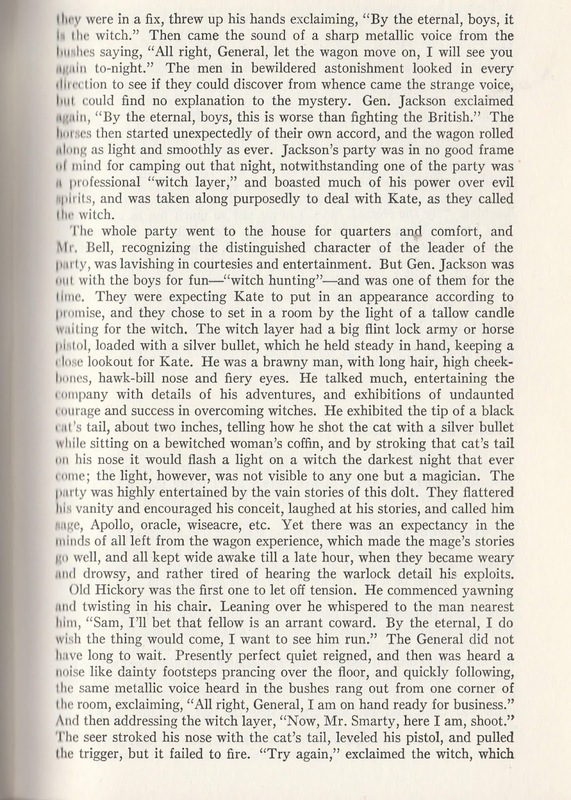 This is published early to publicize this Saturday event. Hope to see you, but I also want to give a story with an interesting history. 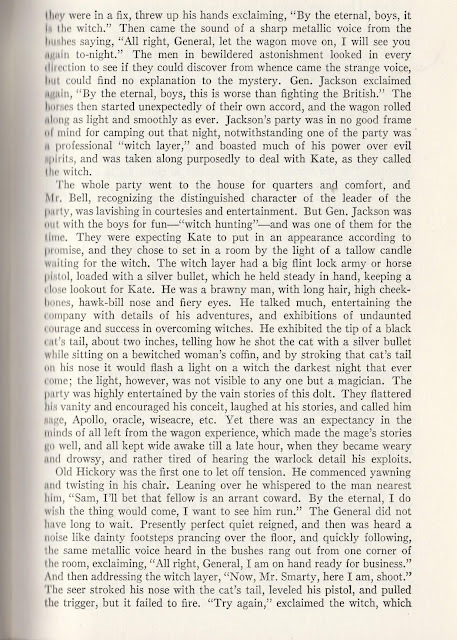 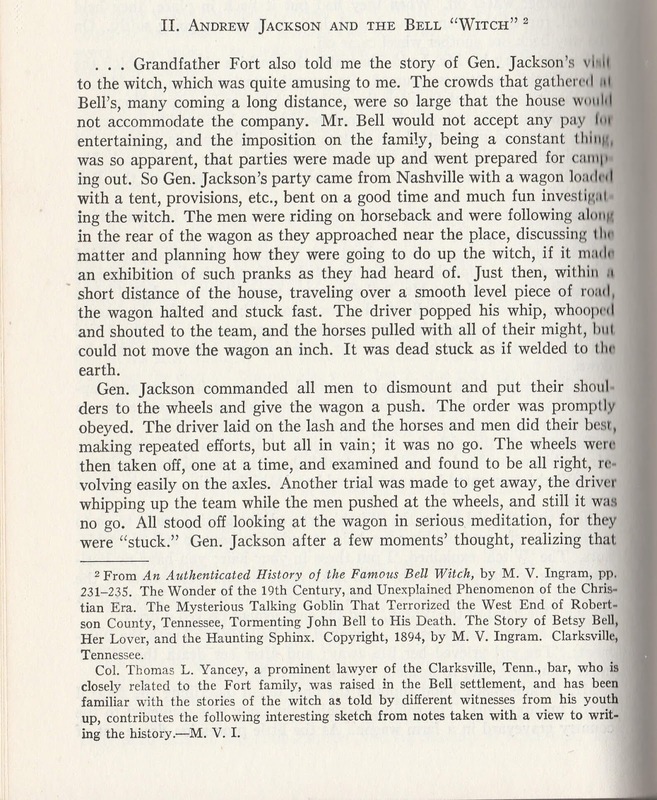 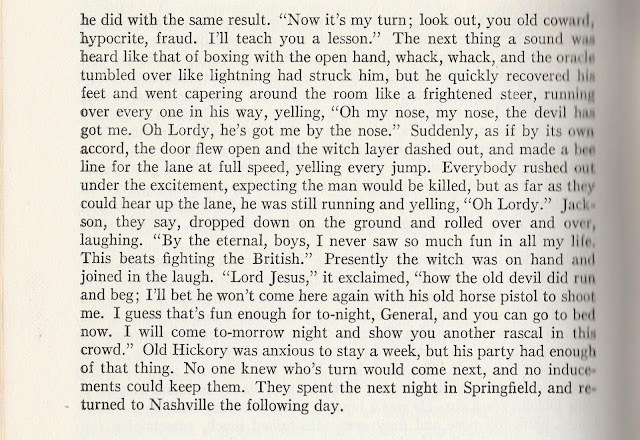 It tells of Andrew Jackson and describes his interesting adventure with a ghost or witch in Tennessee. 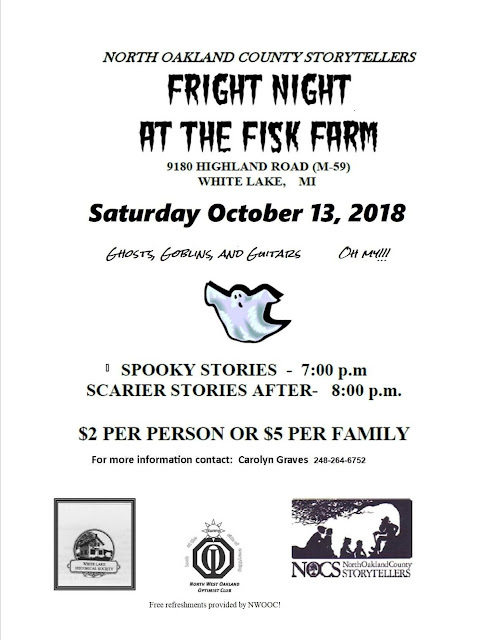 Paranormal investigation isn't new, even North Oakland County Storytellers have had to share Fisk Farm with ghost hunters in the past. 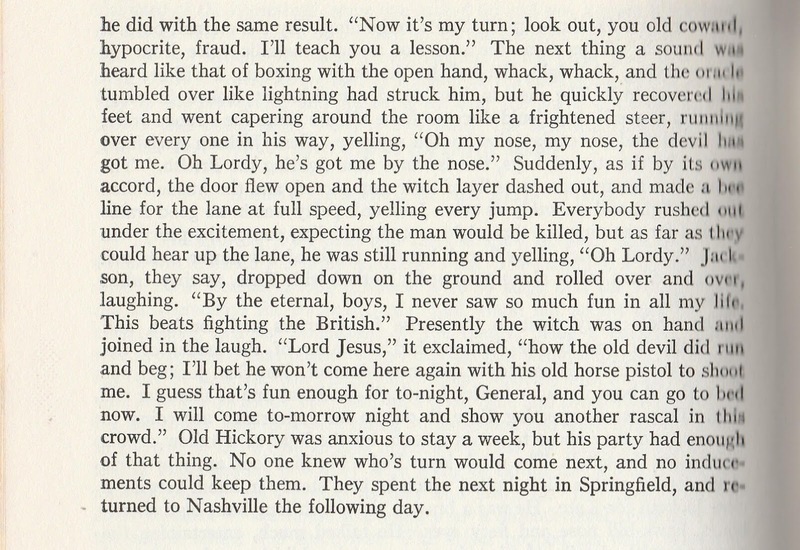 The "Bell Witch" story has been well investigated over the 19th and 20th centuries. 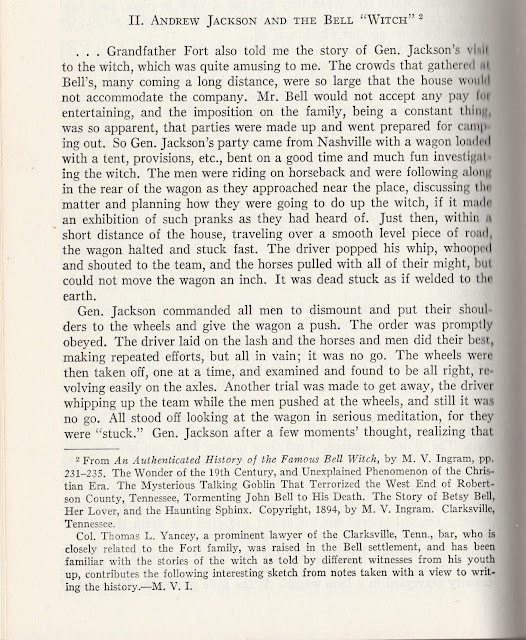 Wikipedia has an article about it, including a paragraph about whether Andrew Jackson could have witnessed the apparition included in Martin V. Ingram's 1894 book, An Authenticated History of the Famous Bell Witch. Whether you believe what you find in Wikipedia or not, I say why let the facts get in the way of a good story? 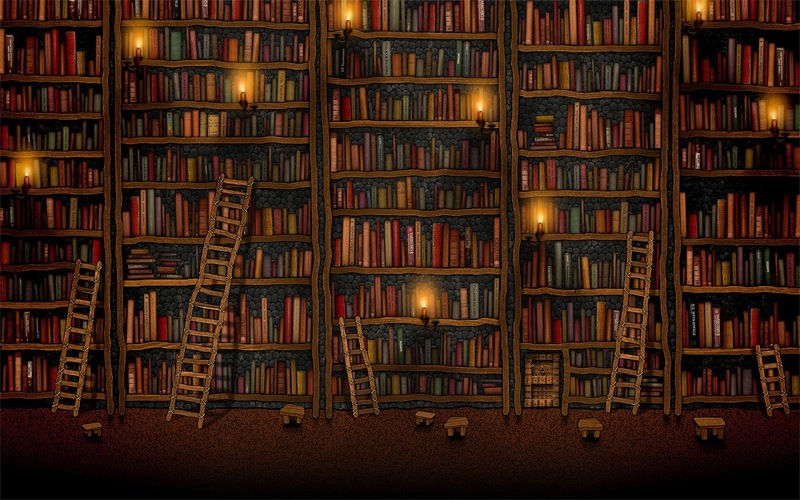 Time enough to read what the experts say later. 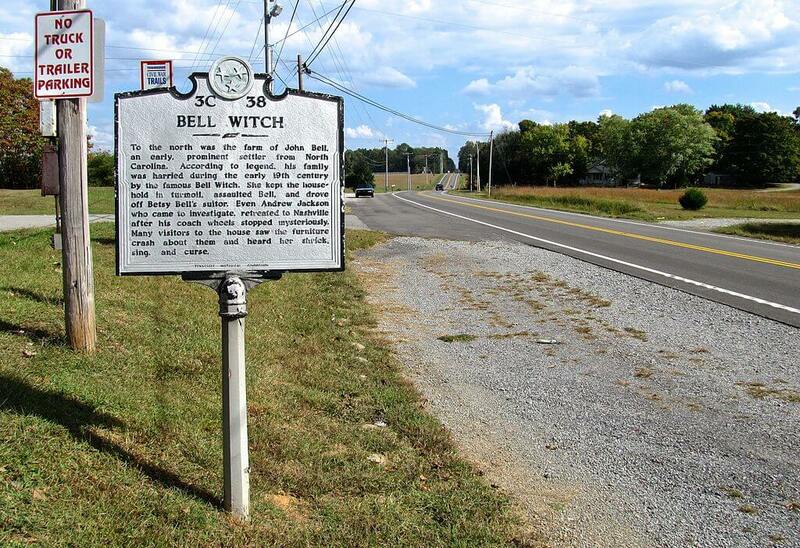 Tennessee Historical Commission marker along U.S. Route 41 in Adams, Tennessee by Brian Stansberry. There's lots more to search online about the "Bell 'Witch'" including Pat Fitzhugh's official The Bell Witch website.